I decided to use the Dear Lizzy tags as one of the of the main focus on my page. I love all the different designs you get in the package. 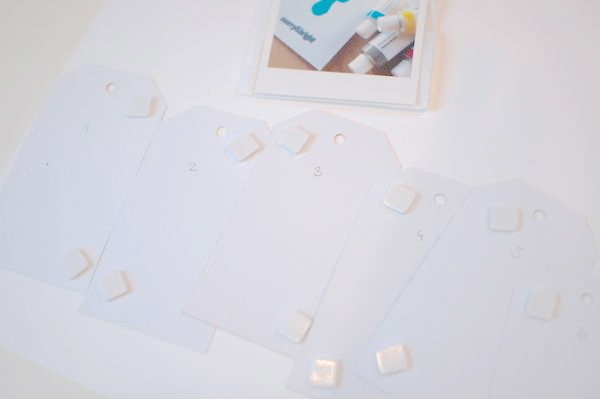 I placed 3D pads on the back of these six tags to get some more dimensional. I always love the use of paint splashes on my pages. 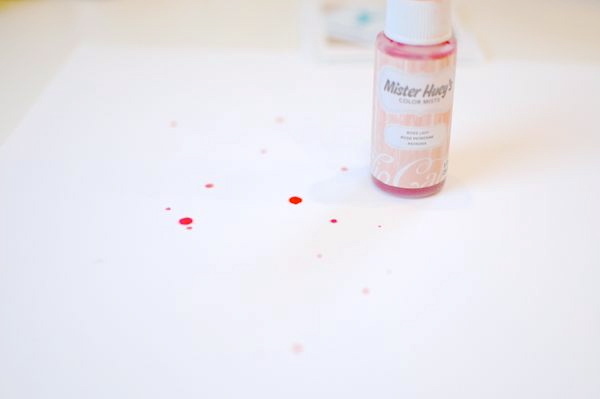 Therefore I add some Mister Hueys ink from my stash onto the white cardstock. The tags are placed now at the bottom of the white cardstock. 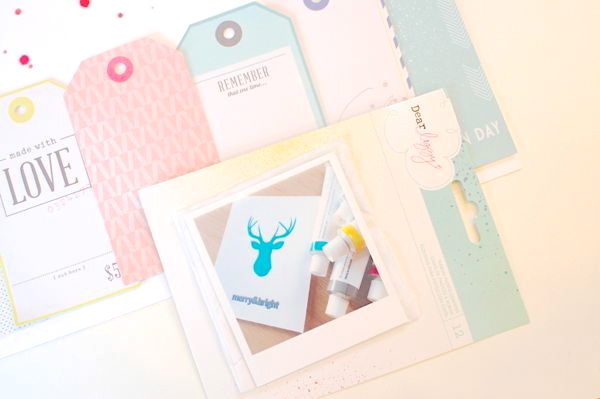 For the picture layering I used the cute colored "Dear Lizzy" packaging sheet of the Ribbon Photo Corners. That´s a great way to use those items too. 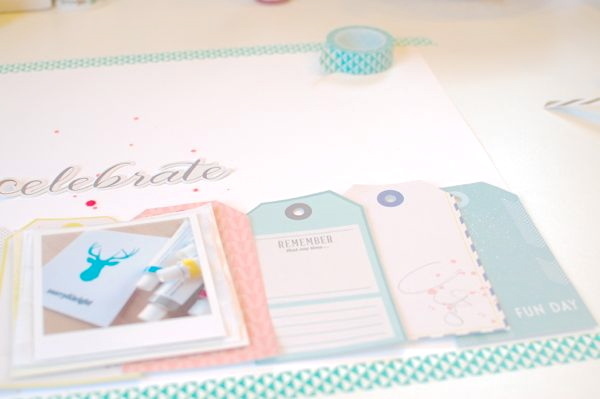 In the October Kit you get a whole roll of the turquoise trinagle washi tape. I add a strip on the bottom and top of the cardstock. 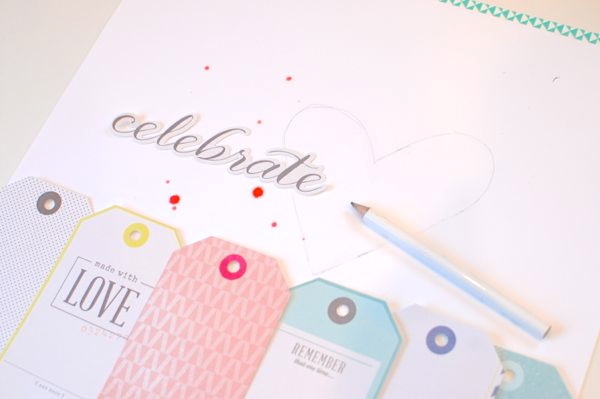 To give the "celebrate" title a stitched heart frame I placed it on the final spot onto the cardstock and draw a heart around it. 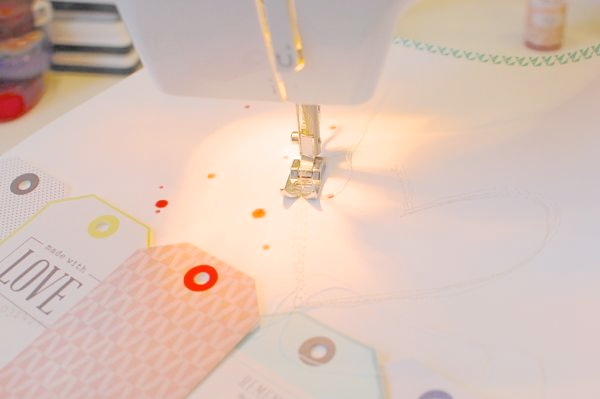 It´s great to use a pencil to erase the leftovers after the sewing process. 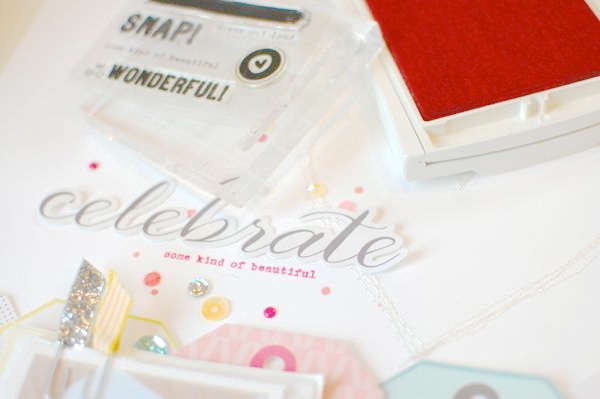 To place the final embellishments onto scrapbook pages is always a lot of fun, right?! The CT exclusive flags are really cute and they look perfectly onto all kind of pictures. 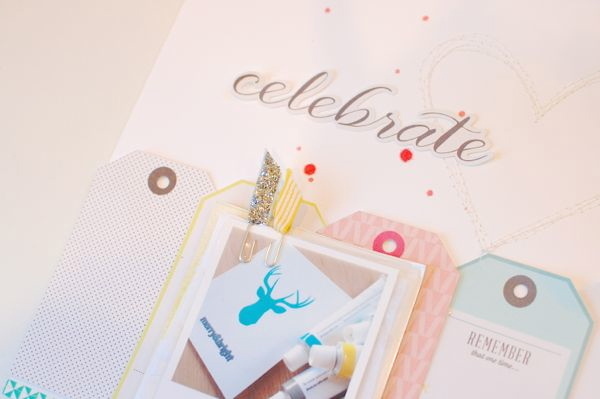 With Sequins you can give your page a little sparkly touch in less than a minute. 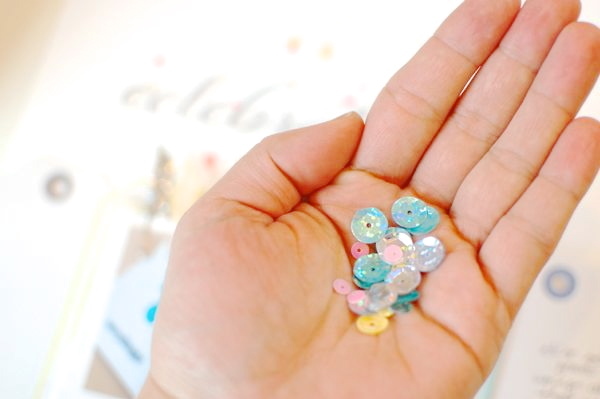 Through them without lots of thinking onto your page and add them with glue. At least I add some journaling and used the CT stamp set to to add a phrase directly under my title. Thank you so much for visiting the Citrus Twist blog today. Have fun with your kit! Such a lovely dreamy layout! Love all the details too!